with smoked bacon. Smoky bacon, lettuce and juicy cocktail tomatoes with mayonnaise, on malted bread. 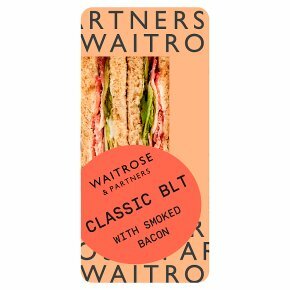 Made with British bacon, prepared with succulent smoked pork belly from farms we know and trust.